THIS LICENSE AGREEMENT OUTLINES THE RIGHTS AND OWNERSHIP DETAILS, AND THE PERMITTED USES OF LICENSED IMAGES FROM ‘TAVERNE AGENCY’. PLEASE READ THIS AGREEMENT CAREFULLY. IT CONTAINS IMPORTANT INFORMATION REGARDING YOUR LEGAL RIGHTS, REMEDIES AND OBLIGATIONS AND CONSTITUTES A BINDING AGREEMENT BETWEEN TAVERNE AGENCY AND ANY MEMBER (A “USER MEMBER”) WHO DOWNLOADS A PHOTOGRAPH, ILLUSTRATION, IMAGE OR OTHER PICTORIAL OR GRAPHIC WORK (THE "CONTENT") FROM THE WWW.THEPICTUREPANTRY.COM WEBSITE (THE “SITE”). THE USER MEMBER ACKNOWLEDGES AND AGREES THAT, BY USING OR PAYING FOR ANY CONTENT FROM TAVERNE AGENCY, THE USER MEMBER SHALL BE BOUND BY AND COMPLY WITH ALL OF THE TERMS OF THIS AGREEMENT, AND THAT THIS AGREEMENT APPLIES TO ANY CONTENT THAT THE USER MEMBER DOWNLOADS. IF YOU DO NOT AGREE WITH ANY OF THE APPLICABLE TERMS, DO NOT OBTAIN OR USE ANY CONTENT FROM TAVERNE AGENCY. WE ENCOURAGE YOU TO KEEP A COPY OF THIS AGREEMENT FOR YOUR RECORDS. This Agreement is a binding legal agreement between TAVERNE AGENCY and any User Member of the Site who desires to download and use Content. (a) Content on the Site is sublicensed by TAVERNE AGENCY from individual photographers contributing to TAVERNE AGENCY (the “Artist Members”). The Content is owned by such Artist Members. In uploading Content, Artist Members authorize TAVERNE AGENCY to grant licenses to use their Content to Member Users, in accordance with the terms and conditions of this Agreement. (b) For purposes of this Agreement, “you” or “User Member” means either: (a) the individual listed as the registrant of the Membership Account through which the Agreement and the license(s) granted hereunder are entered (a “Registrant”), or (b) if a Registrant is entering into this Agreement and the license(s) granted hereunder are for the benefit of, and/or as an agent on behalf of, Registrant’s employer (“Employer”) and/or a third party (“Principal”) then such Employer or Principal. If a Registrant is entering into this Agreement and the licenses hereunder for the benefit of, and/or as an agent on behalf of an Employer and/or a Principal, then the Registrant: (a) represents and warrants that such Principal and/or Employer has authorized the Registrant to enter into this Agreement, that the licenses granted hereunder are on that Principal’s and/or Employer’s behalf, that such Principal and/or Employer has agreed to be bound hereby and that the Registrant has actual and express authority to act on behalf of and bind such Principal and/or Employer to the terms of this Agreement; (b) the Content (and any use thereof) is solely for the benefit of the Employer and or the Principal and that the Registrant will not use the Content or (any use thereof) for the benefit of any other person or entity without entering into a separate license with TAVERNE AGENCY, and (c) the Registrant will comply with the terms and conditions of this Agreement and will be jointly and severally liable for any breach of the terms of this Agreement by the Principal and/or the Employer. Subject to the terms and conditions of this Agreement, TAVERNE AGENCY hereby grants to the User Member a non-exclusive, perpetual, worldwide, non-transferable sublicense to use, reproduce or display the Content in accordance with the sublicense option(s) selected by the User Member as each option is described below. The User Member acknowledges and agrees that, except for the rights specifically sublicensed under this Agreement, the User Member shall not have any right, title or interest in or to, and in any event shall have no ownership of, the Content, including any copyright and other intellectual property rights. (iii) an unlimited number of impressions, but only in a modified or derivative form, for the purpose of on-line, electronic, and mobile publications and mobile applications, including web pages for editorial projects, to a maximum of 1920 x 1080 pixels for image or illustration Content and 1920x1080 pixels for video content (regardless of the resolution of the Content available for downloading from the Site) (unlimited copies). 2. Use the Content in any posters (printed on paper, canvas or any other media) or other items for resale, license or other distribution for profit, including using or displaying the Content on websites or other venues designed to induce or involving the sale, license or other distribution of “on demand” products, including postcards, mugs, t-shirts, posters, electronic templates, and other items; and install and use the Content in more than one location at a time or post a copy of the Content on a network server or web server for use by other users. For modified or derivative products in downloadable, electronic or digital format intended for multiple distribution (unlimited copies), including screensavers, web site templates, presentation templates, wallpapers, application or other software products and templates, e-greetings, applications (other than games) and Content used on or in connection with mobile devices, including but not limited to mobile telephones and personal digital assistants, for resale or other distribution for profit. Allows for an unlimited number of users to install or use the Content within your organisation, provided all such users are either employees or agree with TAVERNE AGENCY to be bound by this Agreement, and that you remain liable for all use by such additional users. In addition to the rights granted under each of the license options above, the User Member shall have the right to transfer files containing the Content or permitted derivative works to employees, or have the Content reproduced by subcontractors, provided that such employees and subcontractors agree to abide by the restrictions of this Agreement. The User Member may also convey to a third party (such as a printer) temporary copies of the Content that are integral to the work product and without which the work product could not be completed. Third parties, employees and subcontractors shall have no further or additional rights to use the Content and shall not access or extract it from any other file provided. The User Member may also create a digital library, network configuration or similar arrangement to allow the Content for the purpose of allowing such Content to be viewed by its employees, partners and clients. (n) use any Content that includes a model over the age of 18 in a manner that depicts such person in a potentially sensitive subject matter, from the perspective of a reasonable person; including, but not limited to sexual activity or implied sexual activity, HIV/AIDS, substance abuse, promotion of tobacco use, political endorsements, or any implication that the model engages in activity that is immoral or illegal. The sole exception to this restriction is any content where it is clear that the intended purpose of the image is to convey such a sensitive use. (o) use any Content that includes a model under the age of 18 in any sexual manner, including but not limited to issues of sexual abuse, human trafficking, sexually transmitted infections, abortion, sexual violence, and any sexual activity or contact. Images may also not be used for any fostering or adoption advertising or editorial context. The sole exception to this restriction is any Content where it is clear that the intended purpose of the image is to convey such a sensitive use. Each time the User Member downloads and licenses Content the User Member agrees to pay all fees and charges associated with the order and that all such fees and charges and additional amounts (including taxes and late fees, as applicable) will be charged to a credit card or other payment method the User Member has provided. If no credit card has been provided, then the User Member agrees to pay, in full, the total amount invoiced to the User Member within 30 days . The User Member shall pay TAVERNE AGENCY a sublicense fee in accordance with TAVERNE AGENCY’s Standard pricing and payment policies. Without limitation, the User Member is responsible for reporting and payment of any taxes applicable to his or her license and use of Content. Each Artist Member retains all right, title and interest in and to Content provided by such Artist Member, including but not limited to all copyrights, patent rights, trademarks, trade secrets and all other property rights. The User Member acknowledges and agrees that, except for the licenses granted by this Agreement, no rights in any Content are granted to the User Member. TAVERNE AGENCY and/or its Artist Member (as applicable) shall retain the right to use, reproduce or display the Content. In addition to the representations and warranties made by the User Member above, each of TAVERNE AGENCY and the User Member hereby represent and warrant that it, or he or she, has the right to enter into this Agreement. The User Member agrees to defend, indemnify and hold harmless TAVERNE AGENCY and its affiliates, and their respective officers, directors, employees, members, owners, agents, representatives, licensors and (sub)licensees (collectively, “Indemnitees”) from and against all claims, damages, obligations, judgments, losses, liabilities or any other expenses (including attorney fees and disbursements) or other liability arising from the User Member’s breach of any of his or her representations, warranties or obligations under this Agreement, and from any and all uses of the Content, including, without limitation, any claims or actions based on infringement or violation of intellectual property rights, libel or slander or other defamation, right of privacy or "false light", right of publicity or blurring or distortion or alteration whether or not intentional. TAVERNE AGENCY shall have the right, in its sole discretion, to control the defence of any claim, action or matter subject to indemnification by the User Member with counsel of its own choosing. The User Member shall fully cooperate with TAVERNE AGENCY in the defence of any such claim, action or matter. This indemnity will survive the termination of this Agreement. This Section 8 is subject to the limited warranty provided in Section 9 below, and shall not derogate from any of the provisions contained in such Section 9. THE USER MEMBER AGREES THAT NEITHER TAVERNE AGENCY NOR ITS AFFILIATES, NOR ANY OF THEIR RESPECTIVE OFFICERS, DIRECTORS, PARTNERS, EMPLOYEES, MEMBERS, OWNERS, AGENTS, REPRESENTATIVES, LICENSORS AND (SUB)LICENSEES (OTHER THAN YOURSELF, AS APPLICABLE), SHALL BE LIABLE FOR ANY DAMAGES, WHETHER DIRECT, INCIDENTAL, INDIRECT OR CONSEQUENTIAL, ARISING FROM ANY USE OR NON-USE OF THE CONTENT, EVEN IF SUCH PARTIES HAVE BEEN ADVISED, OR ADVISED OF THE POSSIBILITY, OF SUCH DAMAGES. THE CONTENT IS PROVIDED "AS IS" AND, EXCEPT AS EXPRESSLY SET FORTH IN THIS AGREEMENT, NEITHER PARTY MAKES ANY REPRESENTATIONS OR WARRANTIES, EXPRESS OR IMPLIED, INCLUDING ANY IMPLIED WARRANTIES OF TITLE, NON-INFRINGEMENT, MERCHANTABILITY, MERCHANTABLE QUALITY OR FITNESS FOR A PARTICULAR PURPOSE. TAVERNE AGENCY DOES NOT REPRESENT OR WARRANT THAT THE CONTENT WILL MEET YOUR REQUIREMENTS OR THAT ITS USE WILL BE UNINTERRUPTED OR ERROR FREE. THE ENTIRE RISK AS TO THE QUALITY AND THE PERFORMANCE OF THE CONTENT IS WITH YOU. SHOULD THE QUALITY OF SUCH CONTENT BE DEFECTIVE YOU (AND NOT ANY OF THE INDEMNITEES) ASSUME THE ENTIRE RISK AND COST OF ALL CORRECTIONS. NOTWITHSTANDING ANY OTHER TERM HEREIN, TAVERNE AGENCY MAKES NO WARRANTIES, NOR SHALL TAVERNE AGENCY BE LIABLE, FOR ANY CLAIMS RELATED TO OR ARISING FROM YOUR USE OF CONTENT WHICH: (I) HAS BEEN MODIFIED BY YOU, (II) HAS BEEN COMBINED BY YOU WITH OTHER CONTENT, PRODUCTS, TEXT, CONTENT OR MATERIALS. Without limiting the foregoing, the User Member acknowledges that: (i) TAVERNE AGENCY generally does not have releases for the trademarks, logos or other intellectual property of other parties that may be depicted in some Content. The procuring of such releases is the responsibility of the User Member; and (ii) TAVERNE AGENCY generally does not have releases from property owners, manufacturers or designers of commercial products such as (without limitation) automobiles, aircraft, packaged products, designer clothing, etc. that are depicted in some Content as it is generally not possible for any stock image library or artist to get blanket releases for such products. The procuring of such releases, which may sometimes be obtained on a case-by-case basis, is the responsibility of the User Member. (a) Subject to the terms and conditions contained in this Agreement, including without limitation the provisions relating to limitation of liability in this Section 9, TAVERNE AGENCY hereby represents and warrants that, notwithstanding anything to the contrary in Section 8 above (Limitations and Disclaimers), the use by the User Member of the Content as provided and as authorised hereunder shall not infringe or violate the intellectual property rights, publicity rights or privacy rights of any third party, and that all necessary model and property releases have been properly obtained in respect of such Content. (b) Subject to subsections (c), (d) and (e) below, TAVERNE AGENCY agrees to defend, indemnify and hold harmless the User Member from and against all damages, liabilities and expenses (including reasonable legal fees) arising directly from any actual or threatened lawsuit, claim or legal proceeding (collectively, a “Claim”) commenced by a third party against the User Member arising from a breach of the representations and warranties set forth in subsection (a) above; conditioned upon and provided that the User Member gives TAVERNE AGENCY (i) prompt written notice of any threatened Claim known to the User Member or any suit or proceeding actually initiated against the User Member, (ii) full information, assistance and cooperation for the defence or settlement thereof, and (iii) at TAVERNE AGENCY’s option, sole control of any defence, settlement or action related thereto; and further provided that the use and/or distribution by the User Member of the Content has been at all times in accordance with the terms and conditions of this Agreement and that the User Member is not otherwise in breach of this Agreement. (c) TAVERNE AGENCY nor any other Indemnitee shall have any liability for, and TAVERNE AGENCY’s obligations under subsection (b) above shall not apply to: (i) any damages, liabilities or expenses incurred by the User Member prior to its notification of the Claim to TAVERNE AGENCY; and/or (ii) any Claim based on or arising out of: (1) the modification by the User Member of the Content; (2) the combination of the Content with any other work(s); and/or (3) the context in which the Content has been used by the User Member. (d) EXCEPT FOR ANY LIABILITY WHICH CANNOT BY LAW BE EXCLUDED OR LIMITED, THE INDEMNITEES WILL NOT BE LIABLE TO YOU OR ANY OTHER THIRD PARTY CLAIMING THROUGH YOU FOR INDIRECT, INCIDENTAL, SPECIAL, PUNITIVE, STATUTORY OR CONSEQUENTIAL DAMAGES ARISING OUT OF, OR RELATING TO THIS AGREEMENT AND/OR YOUR USE OR INABILITY TO USE THE SITE OR THE CONTENT, WHETHER FRAMED AS A BREACH OF WARRANTY OF MERCHANTABILITY, TITLE, NON-INFRINGEMENT, OR FITNESS FOR A PARTICULAR PURPOSE, IN TORT, CONTRACT, OR OTHERWISE. IN NO EVENT WILL THE INDEMNITIES' TOTAL MAXIMUM AGGREGATE LIABILITY TO YOU OR ANY THIRD PARTY CLAIMING THROUGH YOU ARISING FROM THIS AGREEMENT OR THE USE OF ANY CONTENT LICENSED HEREUNDER, EXCEED ONE THOUSAND POUNDS (£1,000.00) REGARDLESS OF THE NUMBER OR TYPE OF CLAIMS AND REGARDLESS OF THE NUMBER OF TIMES THAT YOU LICENSE THE SAME CONTENT FROM TAVERNE AGENCY. THE FOREGOING EXCLUSIONS AND LIMITATIONS ARE APPLICABLE NOTWITHSTANDING ANY FAILURE OF ESSENTIAL PURPOSE. CERTAIN JURISDICTIONS DO NOT ALLOW THE EXCLUSION OF IMPLIED WARRANTIES, OR THE LIMITATION OR EXCLUSION OF LIABILITY FOR INCIDENTAL OR CONSEQUENTIAL DAMAGES, SO THE ABOVE EXCLUSION MAY NOT APPLY TO YOU. IN SUCH JURISDICTIONS, THE LIABILITY OF THE INDEMNITEES WILL BE LIMITED TO THE GREATEST EXTENT PERMITTED BY APPLICABLE LAW. (e) The foregoing states the entire liability and obligation of TAVERNE AGENCY and the other Indemnitees, and the sole and exclusive remedy of the User Member, with respect to any breach of the representations and warranties contained in subsection (a) above. 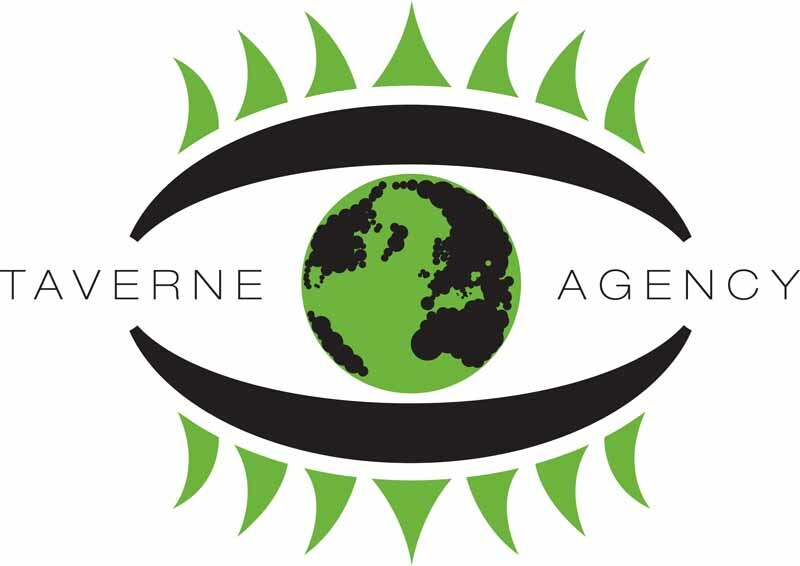 (f) TAVERNE AGENCY is relying on the representations and warranties made by Artist Members regarding the Content and their compliance with TAVERNE AGENCY’s requirements, including the non-infringement of Content, and TAVERNE AGENCY does not have the right or ability to control the Content for purposes of the Digital Millennium Copyright Act or any claim of liability made by any third party against TAVERNE AGENCY. TAVERNE AGENCY does not act as agent for Artist Members who license Content or User Members who use the Content, and, except as specifically set forth in this Section 9, does not guarantee the quality, title, or legality of the Content, or the truth or accuracy of listings associated with the Content. Accordingly, except with respect to claims arising from the breach by TAVERNE AGENCY of the warranties set forth in subsection (a) above, you hereby irrevocably and unconditionally release and waive any and all claims, demands and damages (actual and consequential) of every kind and nature, known and unknown, that you may have or assert against TAVERNE AGENCY relating to or arising out of the purchase of a license to or the use of the Content. This Agreement shall continue in perpetuity unless terminated in accordance with this Section 10. TAVERNE AGENCY at any time may terminate this Agreement with respect to any Content in the event of any breach by the User Member of any of his or her representations, warranties or obligations under this Agreement. The User Member may at any time terminate this Agreement. Each of TAVERNE AGENCY and the User Member shall notify the other in the event it, he or she terminates this Agreement. TAVERNE AGENCY shall also have the right, in its sole discretion, to deny the downloading of any Content from the Site. Upon termination of a license for any particular Content, the User Member shall immediately cease using such Content, destroy, or upon the request of TAVERNE AGENCY return the Content to TAVERNE AGENCY, delete or remove the Content and all derivative works and related materials (if any), in his or her possession or control and shall ensure that its clients and customers do likewise. Termination of this Agreement shall not relieve the User Member from any payment obligations that may have arisen prior to such termination. Further, the termination of this Agreement shall operate without prejudice to TAVERNE AGENCY's rights, defences and limitations of liability provided under this Agreement, which rights, defences and limitations of liability shall survive termination of this Agreement. By downloading and using the Content, the User Member acknowledges and agrees that this Agreement and all matters as to his or her access and use of the Site and/or the Content shall be construed and governed by the laws of England. All actions and disputes arising from or relating to this Agreement and all matters as to your access and use of the Site and/or the Content or other materials shall be heard and decided exclusively before the courts located within England and you irrevocably attorn and submit to the exclusive jurisdiction of the courts of England and waive any right you might otherwise have to claim lack of personal jurisdiction or inconvenience of forum. The relationship between TAVERNE AGENCY and the User Member under this Agreement is that of independent contractors. For clarification purposes, the parties are not joint venturers, partners, principal and agent, or employer and employee. Neither party shall have the power to bind or obligate the other in any manner. The User Member agrees that he or she shall be responsible for all use, sales, value-added and similar taxes and duties imposed by any governing authority in any jurisdiction in connection with your access or use of the Site. No action or non-action of TAVERNE AGENCY to exercise any power, right, privilege or remedy under this Agreement shall be construed as a waiver or amendment of this Agreement or preclude any other or further exercise of any such power, right, privilege or remedy. This Agreement shall inure to the benefit of, and be binding upon, TAVERNE AGENCY and you, and its and your respective successors and assigns. Nothing in this Agreement, express or implied, is intended to confer upon any person or entity, other than TAVERNE AGENCY and you, and its and your respective successors and assigns, any rights, remedies, obligations or liabilities under or by reason of this Agreement. TAVERNE AGENCY shall have the right, in its sole discretion, to assign any or all of its rights or obligations under this Agreement. You shall have no right to assign any of your rights or obligations under this Agreement. Whenever the context so requires, the singular number shall include the plural and vice versa, and the masculine, feminine and neutral genders shall include each other. This Agreement shall be construed neither against nor in favour of any party, but rather in accordance with the fair meaning of the language hereof. The invalidity or unenforceability of any part of this Agreement shall not affect the validity or enforceability of the balance hereof. The headings contained in this Agreement are for convenience of reference only and shall not affect in any way the meaning or interpretation of this Agreement.